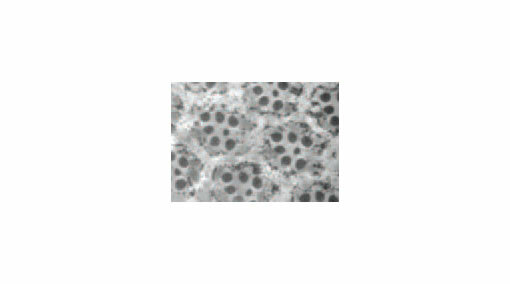 (E) is a published TEM image drosophila photoreceptors (http://www.pnas.org/content/105/7/2693.full) at same magnification as (D). Note that the fluorophore illuminates the LR White resin, providing an image of tissue structure primarily in negative relief. 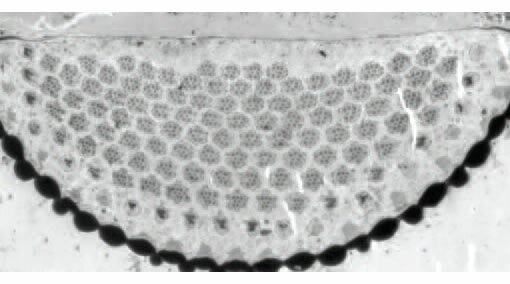 Bar,100 µm. All subsequent FIRM images are shown in monochrome. FIRM image taken with 150X glycerin objective. 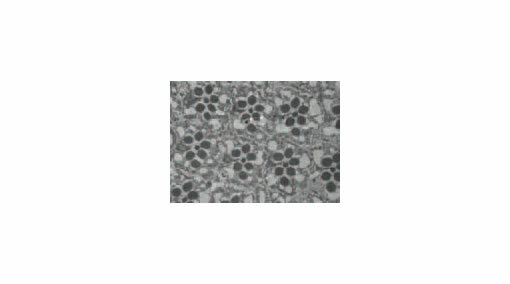 Individual secretory granules are easily visualized, ranging from 150-350nm in diameter. 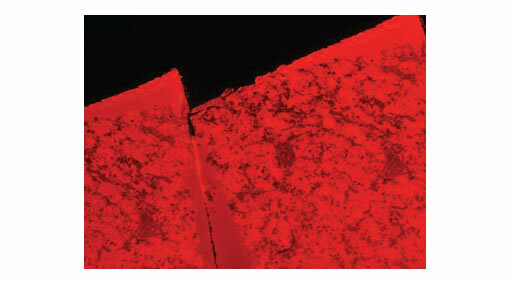 Scale bar, 5 µm. Formalin-fixed autopsy specimen, comparison of H&E paraffin section (left) with FIRM (right). 20x dry objective used for both. 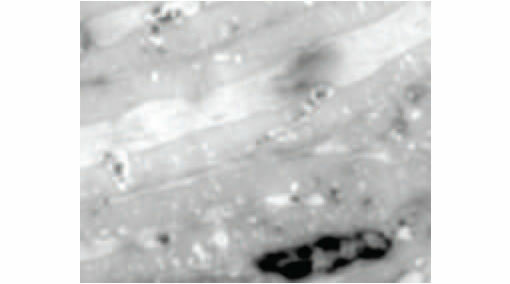 Scale bar, 20 µm. 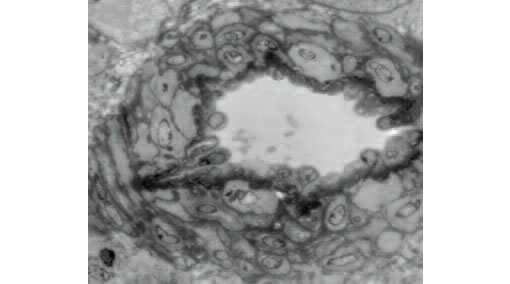 A single LR White thin section was labeled first with Concanavalin AAlexa-488 (B) imaged, then stained for FIRM imaging (A). 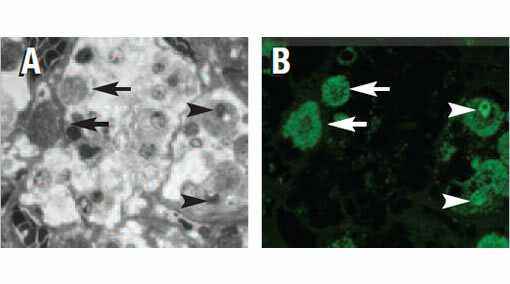 Densely granulated cells (arrows in A) are strongly labeled with Con-A (arrows in B). 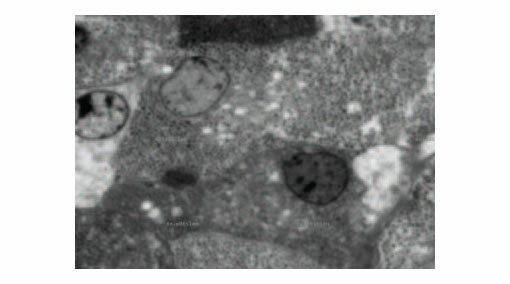 Dark structures resembling large lysosomes or residual bodies (arrowheads in A) are also strongly labeled by Con-A, consistent with reports in the literature. 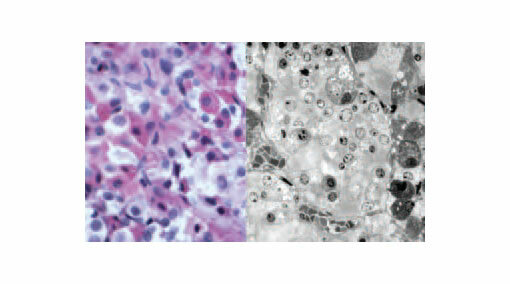 FIGURE 5: Comparison of toluidine blue staining (A) to FIRM (B) on near adjacent sections of human kidney. 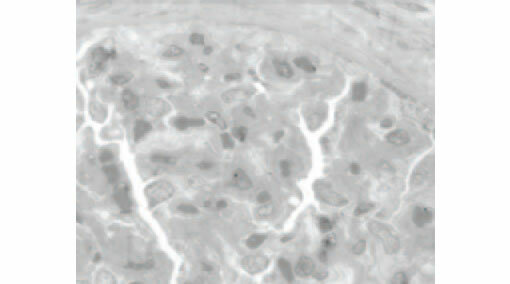 Note enhanced contrast, especially of glomerular basement membranes in FIRM image. 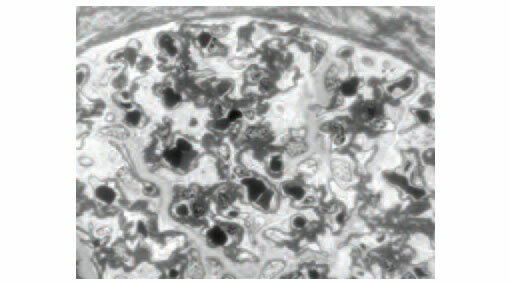 High power FIRM image (C) of glomerulus. 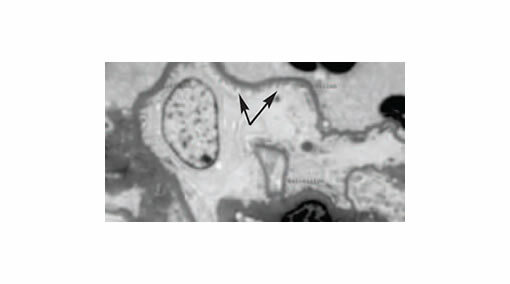 Note resolution of podocyte foot processes (arrows). Scale bars in A, B, 20 µm, in C, 5 µm.